Oscar, my working golden retriever, never disappoints. He’s always ready to jump in and have some fun! For more goofy faces, please visit: Camera Critters. 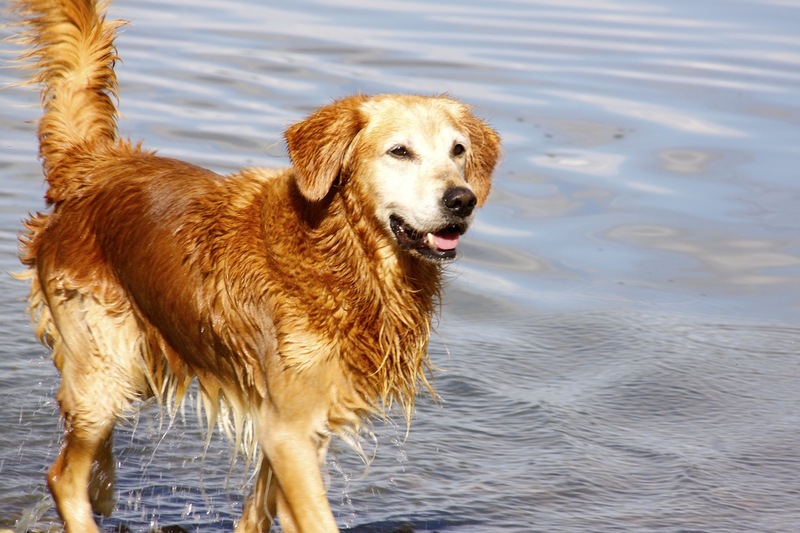 Posted in Camera Critters, dogsTagged golden retriever, goofy, rattle, roll, shake, summer, swimming, wet dogBookmark the permalink. LOVE it! I love Goldens! Golden Retrievers are such magnificent dogs. 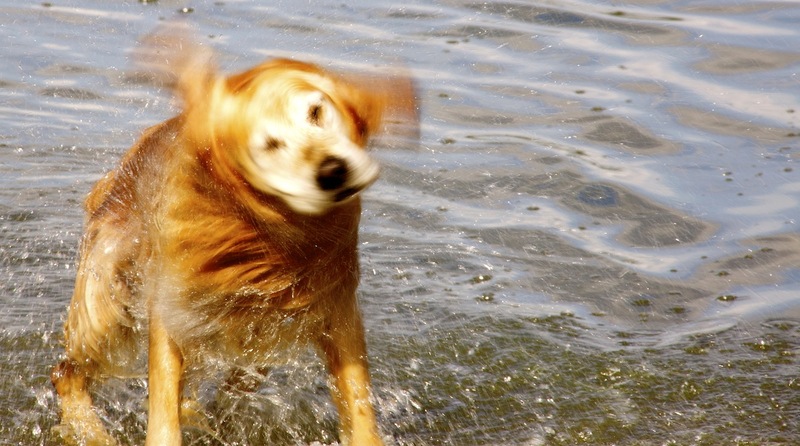 Fantastic action shots of Oscar shaking off the water. Did you get wet? Golden retrievers are such magnificent dogs! 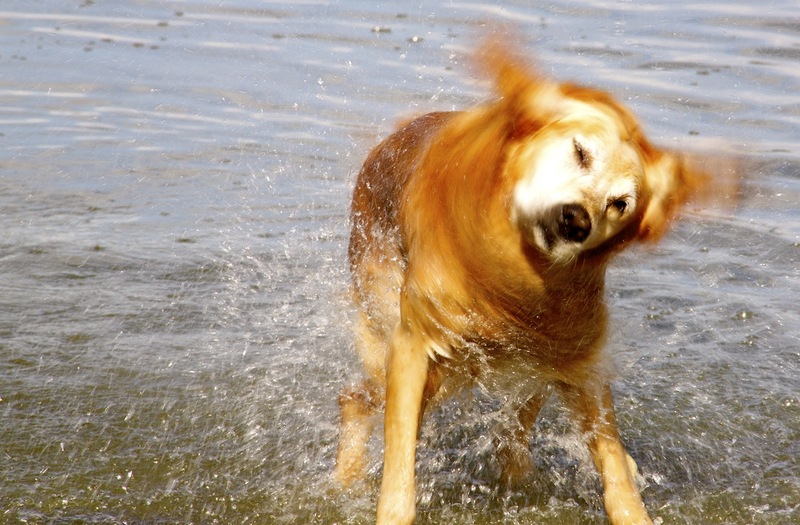 Great shots of Oscar shaking off the water. Did you get wet? Oscar is a cutie. Great captures and cute captions. Oscar is handsome, and your captures of his shake, rock and roll just perfect. Ha! Who says you can’t teach an old dog new tricks?! By the way, how “old” is Oscar? He’ll be nine in November. simply beautifully captured shots…lovely capture of the motion. Oh, oh, I do, I do. Can we come and play? anywhere near water. It makes my heart smile, your Walter and his after-swim ebullience:) Beautiful share! So cute!!! He looks, in the second picture,, as if he’s shaking water out of his ear! An annoyance, but yeah I’d join him because a swim is always worth it but, for me, only if the water is warm. That is one happy dog. Loved the photos – brought back many doggy memories. Thanks. I would totally join him! Beautiful photos, I like the dog’s movement and sharpness you’ve captured, excellent! Beautiful shots.! I think I’m in love with Oskar now hahaha. My critters, please come by when you get a chance, have a blessed Sunday! Oscar is your best subject! Never an imperfection and always ready for the camera! Oscar is definitely a working dog: he poses so wonderful for your photos! Wow, beautiful photos . Oscar is such a cutie. The top shot is a winner. How very cool! Such a charmer – I’d be happy to join him any day! Makes me sing “Shake Baby shake … ” lol ! what cute pictures !! looks like he’s really enjoying..
What a handsome pooch Oscar is! I hope you like the Gift. I’m doing a Christmas book of short stories too! 🙂 Any suggestions? Oscar feels so refreshed! He is beautiful! I love how his jowls move!! If you look up the word “joy” in the dictionary, there has to be a picture of Oscar. I love the ‘shaking’ captures. Your dog is really adorable and ypur photos are great as always. I wanted to comment on the autumn photos but cannot find a place to do so. They are so beautiful! Even Goofy, he is my favorite dog! Oscar is full of life- you are so blessed!